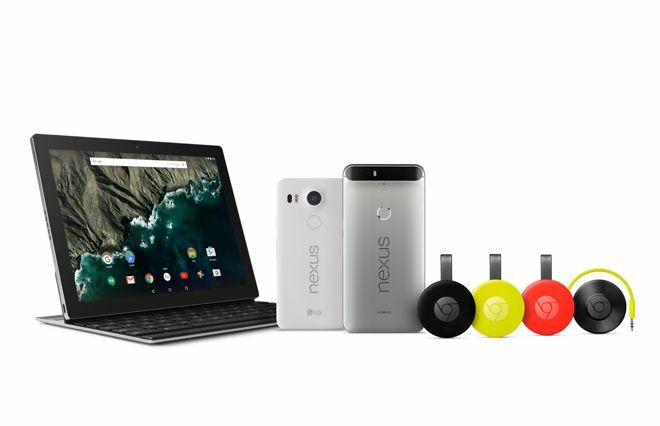 At a Tuesday press event, Apple rival Google announced a wide slate of new hardware including two new Nexus phones, new Chromecasts, and the Pixel C Android tablet. 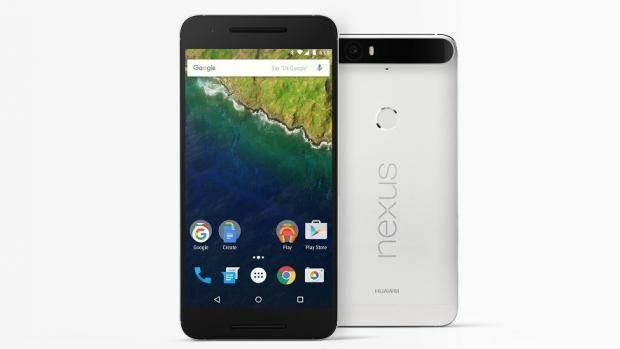 The company's new flagship phone is the Huawei-made Nexus 6P, a sequel to last year's Nexus 6 that actually shrinks the display down slightly to 5.7 inches. It sports an all-metal body, however, slimmed to be roughly the same size as the iPhone 6 Plus. The 6P's AMOLED display is also sharper than the 6/6s Plus at 2560 by 1440. 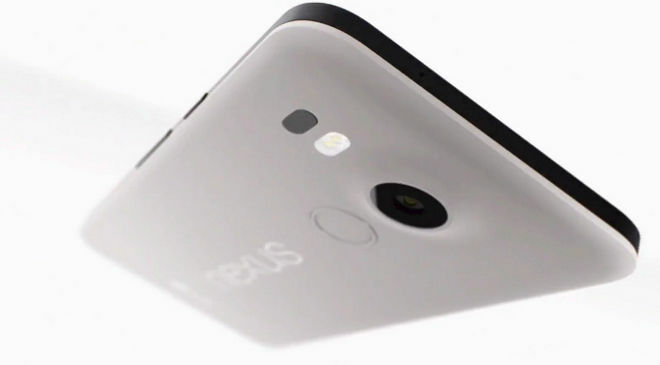 On the back is a new fingerprint sensor known as the Nexus Imprint, which can be used to unlock the phone, authorize Play Store purchases, or use Android Pay. For sync and charging the phone uses USB Type-C, which Google said can charge the 3,450 milliamp-hour battery in half the time it takes to charge a 6 Plus. The centerpiece of the phone is a 12.3-megapixel rear camera, using a Sony sensor with large pixels intended for low-light shooting, and support for various recording options like 4K video. On the front is an 8-megapixel camera. Preorders begin today in several countries, with shipments starting in late October. In the U.S., a 32-gigabyte model is $499 —64- and 128-gigabyte models are $549 and $649, respectively. White, silver, and black options are available, and the phone comes both unlocked and compatible with Google's Project Fi network. A new $89 warranty option will cover the device for two years, including accidental damage. Made by LG, the 5X improves over the original Nexus 5 with a 5.2-inch 1080p display. The phone otherwise shares many of the same features as the 6P, such as Nexus Imprint, USB Type-C, and the same 12.3-megapixel rear camera. 5X preorders are also starting today. The phone is available in 16- and 32-gigabyte models costing $379 and $429, with white, blue, and black color options. Both it and the 6P wil ship with Android Marshmallow (6.0), which is rolling out to some existing Android devices starting next week. The second-generation Chromecast comes in a new disc shape with red, black, and yellow color options. Perhaps the biggest technical improvement is better Wi-Fi, thanks to two additional antennas and support for 5-gigahertz connections. Coming in the next few weeks is an updated Chromecast app for iOS and Android, which will include playback controls, cross-service voice search, and a "What's On" section for browsing content from compatible apps. Also introduced today was a technology called Fast Play, which like Amazon's Fire TV will allow Chromecasts to predictively cache video for faster streaming. Long-time holdout Spotify officially announced support for the Chromecast platform, in tandem with Google revealing the Chromecast Audio, a device with RCA, 3.5mm, and optical connections instead of HDMI. The Audio and the second-gen Chromecast are shipping today for $35 apiece. 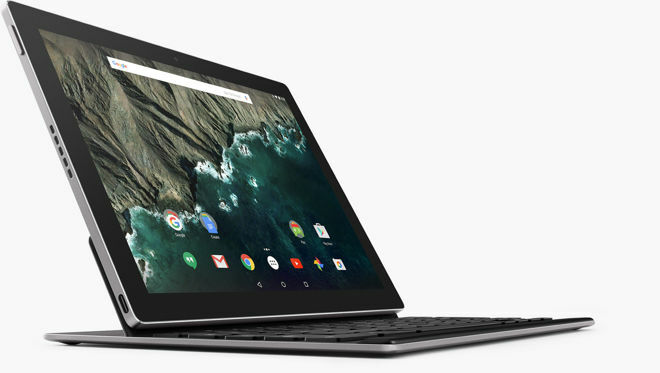 The Pixel C is a 10.2-inch tablet with an Nvidia X1 processor, 3 gigabytes of RAM, and Android Marshmallow. Little else has been revealed except that prices will start at $499, with an optional $149 keyboard. The latter attaches magnetically, and can be charged inductively by the C. The tablet should ship in time for the holidays.